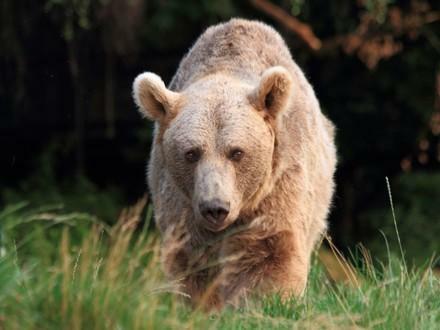 Welcome to the BEAR SANCTUARY Arbesbach. An appropriate home in Austria - Waldviertel. 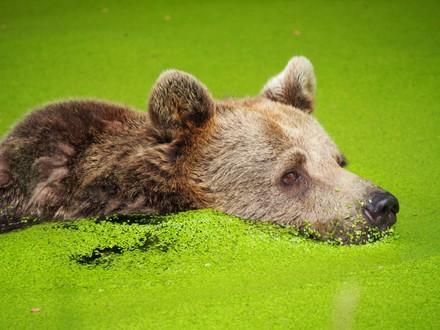 Wood, meadow and water - a natural living space for brownbears. 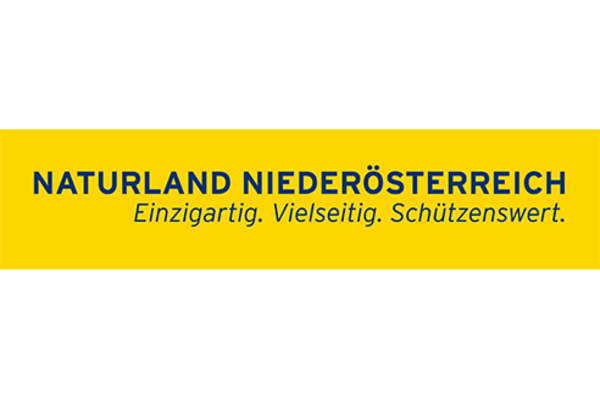 ist one of 49 Top-tourist attractions in Lower Austria.! Here the bear can chose! Rediscover instinct- live up natural behaviour. 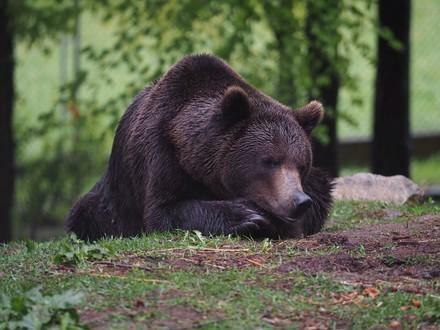 The BEAR SANCTUARY Arbesbach offers brown bears from bad habits since 1998 an animal-friendly home. 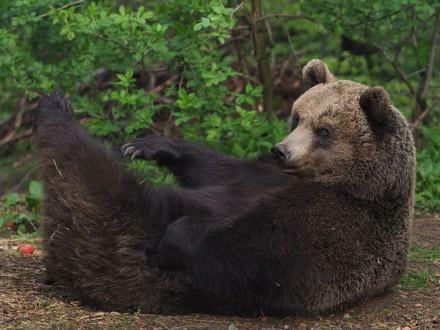 At present, seven brown bears live on a total of 14,000 square meters. The BÄRENWALD Arbesbach is located in the Waldviertel near the Upper Austrian border. From Arbesbach on the B 124 direction Linz, you reach the BEAR SANCTUARY 3 km after the village center Arbesbach. In addition to the convenient arrival, there is a 50% discount on your entrance ticket on presentation of the ticket! 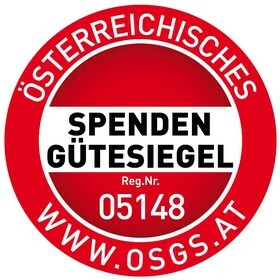 From Vienna Franz-Josefs-Bahnhof by train REX2806 at 7:05 am or from St. Pölten Hbf by train R6215 at 7:05 am to Krems. 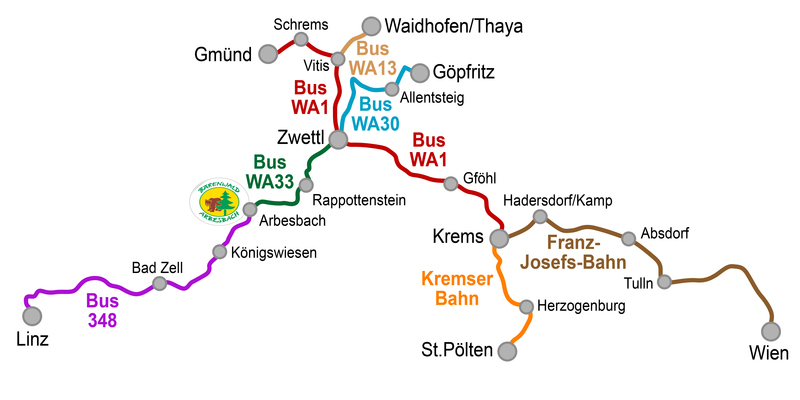 From Krems take the WA1 bus at 8:20 to Zwettl Kampparkplatz and from there take the WA33 bus at 9:15 am to the BEAR SANCTUARY Arbesbach (arrival at 9:59 am). 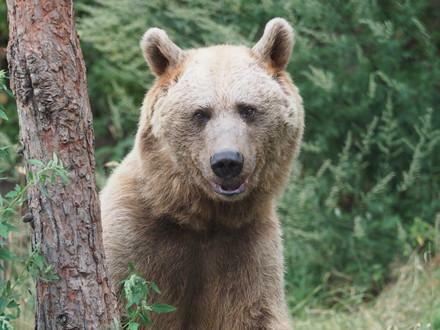 From Linz you can reach the BEAR SANCTUARY Arbesbach daily by bus 348 at 1:58 pm from the stop Linz Chemiepark (arrival at the BEAR SANCTUARY at 15:07). 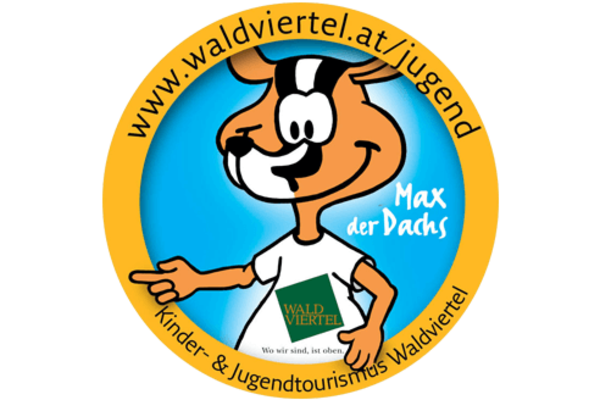 In addition to its wonderful landscape, the Waldviertel has many impressive and interesting places to visit. 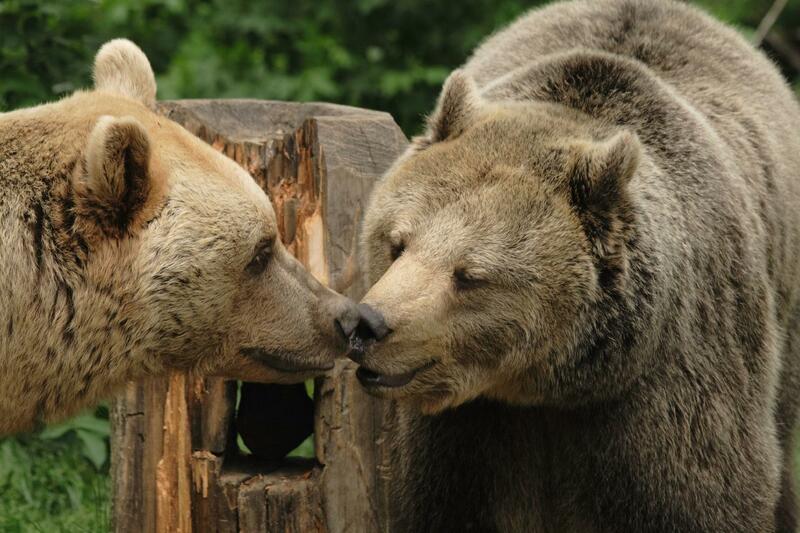 Seven bears live in the BEAR SANCTUARY Arbesbach. Most have a sad prehistory. To offer our bears freedom and a home! FOUR PAWS has received the donation seal again this year. 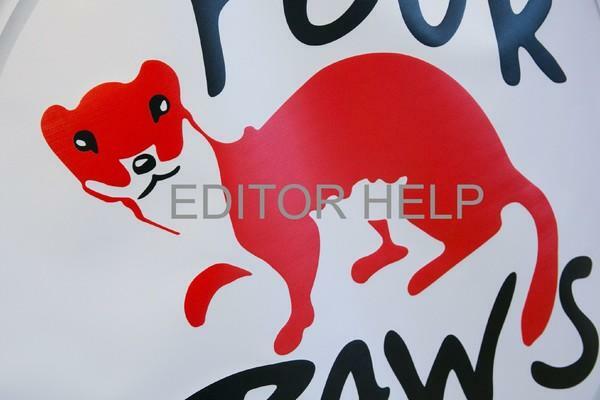 FOUR PAWS is the only Austrian animal protection organization since its introduction in 2001. Thank you to the company Kastner for the support of a part of the bear feed. Fam. 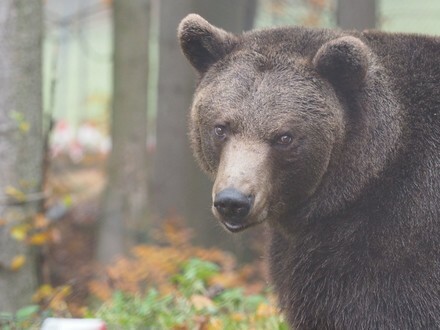 Kastner from St.Pölten supplied the bears since 2001 with nuts. Since there are no walnut trees at Arbesbach, we have to take these valuable treats, which the bears need for the winter season, from outside. Over the years so many hundreds of kilograms of nuts were transported to Arbesbach. Thank you very much! 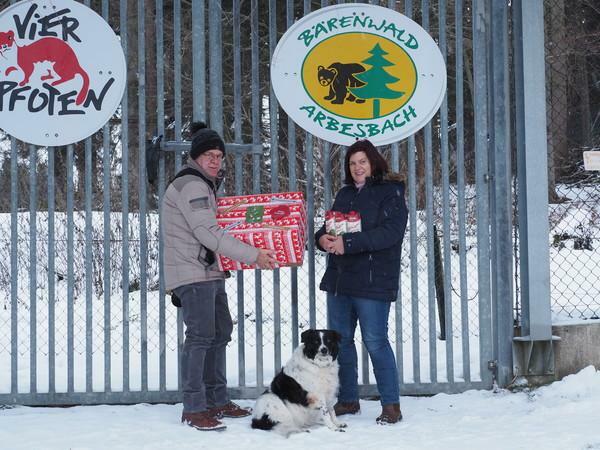 In the veterinary practice of Mathilde Buchmayer from Ernstbrunn donations are collected for our bears. On August 23, 2015, Fam. 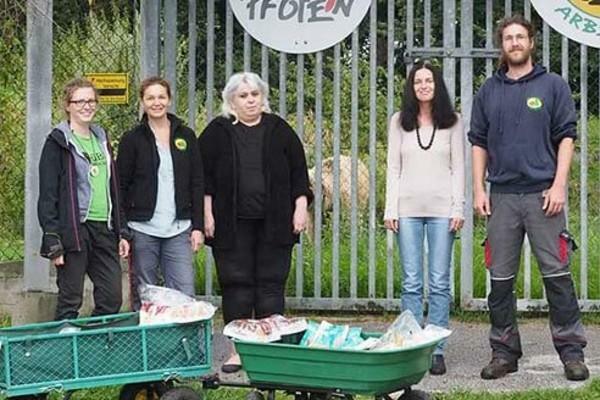 Buchmayer personally brought 2 big bags of carrots, a big bucket honey and a donation money of more than EUR 300, - to the BEAR SANCTUARY! Many many thanks! The 7 bears were generously provided with grapes and nuts by the nice Fam. Glatzenberger from Dürnstein. 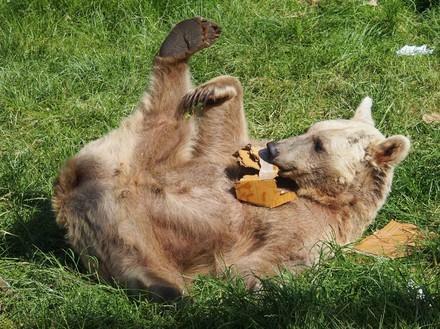 We would like to thank the generous bear friends of the dog "Amigo" for their support !!! Grapes are next to nuts the most popular food just before the winter.r ihre Unterstützung!!! Thanks to Mrs. Raphaela Ch. Müller for the generous money donation in August 2010. At her graduation party, she waived gifts. For this there was a donation box, which the guests with 700 EUR fed. Now the bears are already eagerly discussing on how to invest their money: shares in renewable energy sources, honey to the dismay Thanks!anke! 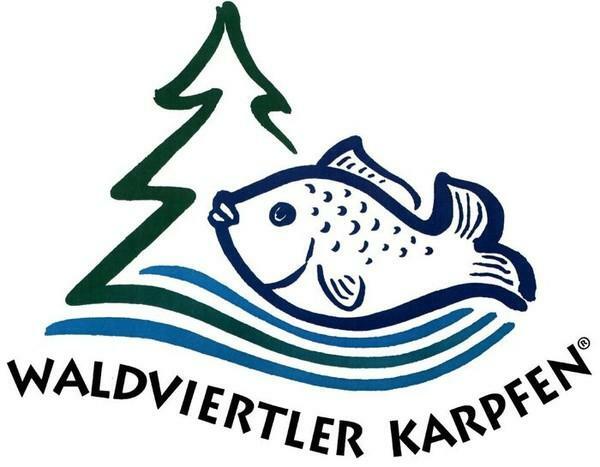 ...as the fish so the landscape - Waldviertler Karpfen; The Teichwirtschaft Fürstenberg provides the BEAR SANCTUARY with free carp remains, which are a good food supplement for our bears. 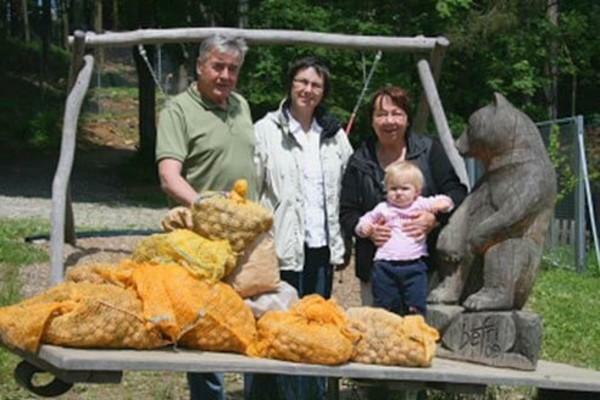 The Mairingers are loyal bear forest supporters with a large quantity of nuts. All nuts come from "wild" walnut trees. Speak of those who do not belong to anyone and stand on embankments, railway stations ... and are not "gathered". In many weeks of small work, a large amount was collected with the help of family dog Nikitaür die Bären. DANKE! Our Mistelbacher friends Myriam and Susi have already passed a huge load of apples, carrots and treats for the bears (and cakes for the staff :-))! Many many thanks! You have been loyal supporters for many years!ren treue Unterstützer !! In our work, we can count on the support of strong partners. Subscribe to our newsletter and hear all the news about our projects, wildlife conservation centers, campaigns, and our global commitment to animals in distress. Our newsletter informs you about our work every month!